Fruit cakes an irresistible combination which anyone can feast upon without any guilt. This cake is healthy as it has the goodness of fruits intact. It’s like a desert camouflaged as a cake- having both the elements of a delicious cake and luscious fruits. 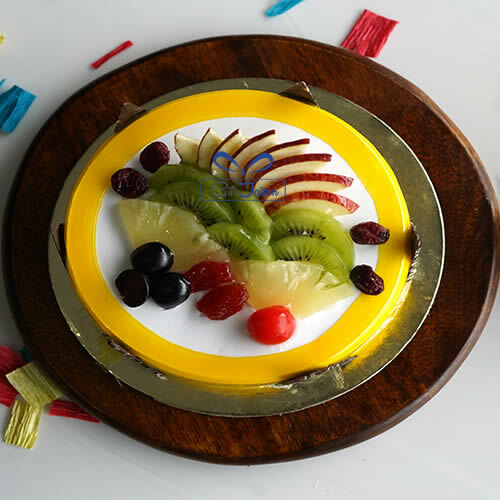 Made upof real and fresh fruits-embellished in creamy textures – it is simply a gourmand’s favorite. Anyone who likes fruits and cakes, cannot refuse this lovely cake. Get yourself this scrumptious desert and have it with great delight. 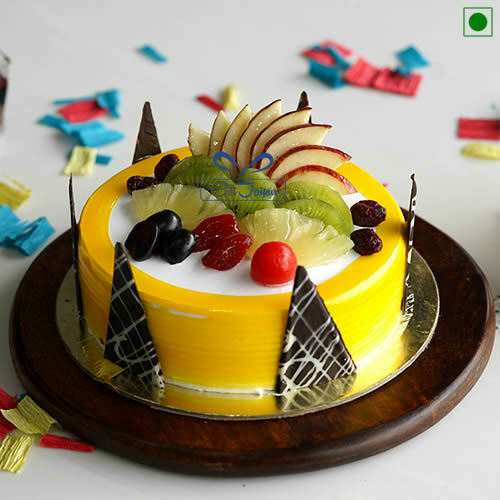 Cakes are loved one and all.So,if you are cake person and love to have fruits- this is the perfect cake for you. Variety is the spice of life or shall we say - variety is the cake of life –where every special happy occasion can be celebrated with a new flavor. Try this exciting fruit cake - you won’t be guilty of gorging upon cakes ever. 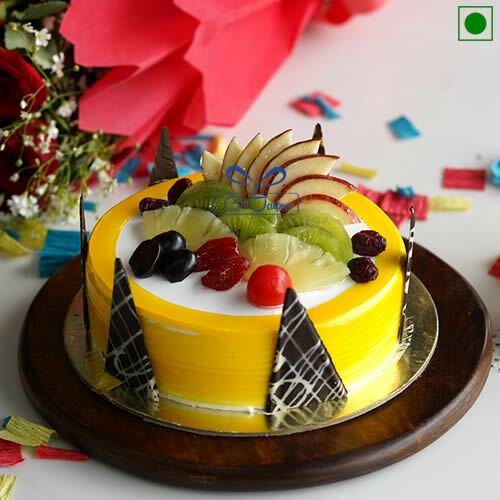 Send this delicious fruit cake to your near and dear ones –friends, wife, husband, sister, brother or your special someone.